Pow! This red lightening bolt charm will bring bang to your game!. 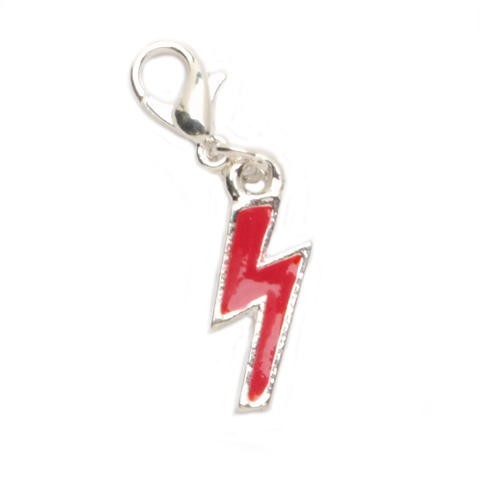 The lobster style clasp, red enamel filled lightening bolt charm is metal and measures .5625 inches wide and .75.